This trip is for adults 18+. For many Americans, the island nation of Cuba has been closed to US citizens our entire life. After diplomatic relations recently changed, the country re-opened to permit US humanitarian projects and “religious activity”. Our group from Grace Church will be teaming up with Grace Church Missionary Partners Keith and Natalie Back and Filter of Hope to bring state of the art water filters and the message of Christ to families in areas of Cuba that have no clean water. We will partner with local churches in Havana to go into two communities to install filters in homes and share the gospel through the imagery of dirty water, clean water, and a filter. The filter cleans out all bacteria, is small and light weight, and is installed into 5-gallon buckets. It's sustainable for 10 years and filters 150 gallons of water a day. Currently, families are continually sick because they have no access to clean water which is something we take for granted. 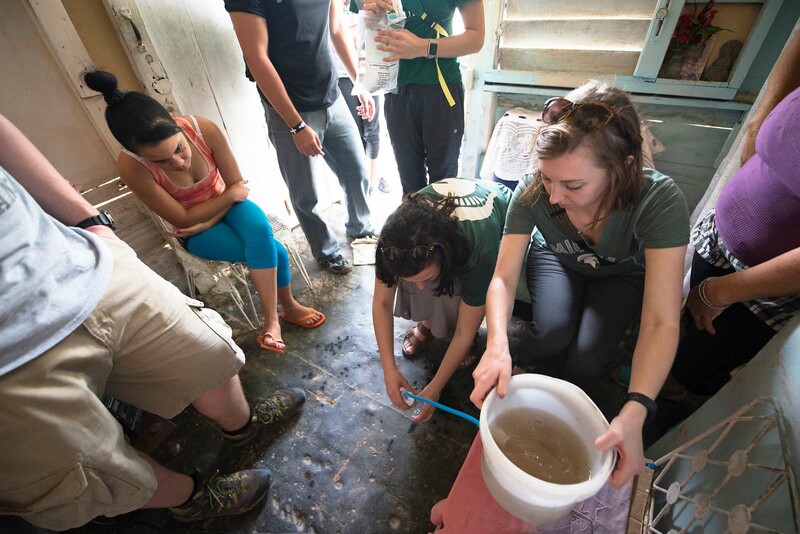 Our team will be trained to install the filters and share the life-changing message of Christ with the families. After our team leaves, the local church will continue to care for new friends. You can find more information at filterofhope.org.